Academics form the core of every college. Students have been seeking an education at institutes of higher learning for centuries, hoping to broaden their perspectives, gain knowledge, and learn the skills necessary for future success. The available opportunities and overall atmosphere vary depending on the school. Private colleges offer a more intimate learning community, and in the case of religious schools, a consistent moral grounding behind every aspect of the university. Community colleges provide general education courses along with focused classes and degrees leading directly to a specific career like nursing. Many students choose to begin their college education at a community college and later transfer to a four-year school. Large public universities offer students the most variety and opportunities, from specialized majors and research programs to advanced graduate degrees. 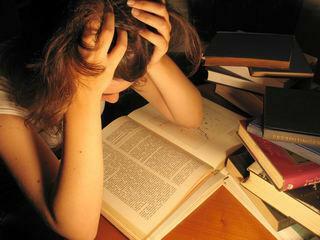 Many students find they have to study more than they did in high school. Your entire grade in a class can be based on a handful of tests and quizzes; every point counts. Since you own your textbooks, you can mark them to help you study. Most students prefer to highlight or underline key passages as they read to make reviewing easier. Staying organized can vastly improve your performance by improving your efficiency. Invest in a planner or digital assistant to track impending deadlines and balance your workload. If you're having trouble in your classes, don't be afraid to ask your professor or teaching assistant for help. If you feel like you're having problems with handling your course load in general, ask your resident assistant or academic advisor if your college offers any workshops on study skills. As you get caught up in day-to-day work, don't forget to look at the big picture. How will your education help you in the future? It's never too early to take steps toward your potential career, whether that means finding an internship or planning an independent study experience.